When looking at a new space for your office, it can be difficult to visualize how everything will fit. Working with the AutoCAD drawings from your architect, or field measurements if AutoCAD drawings are not available, we will provide you with a plan view (2-D) and isometric view (3-D) of how the furniture will look and fit within the space prior to order. 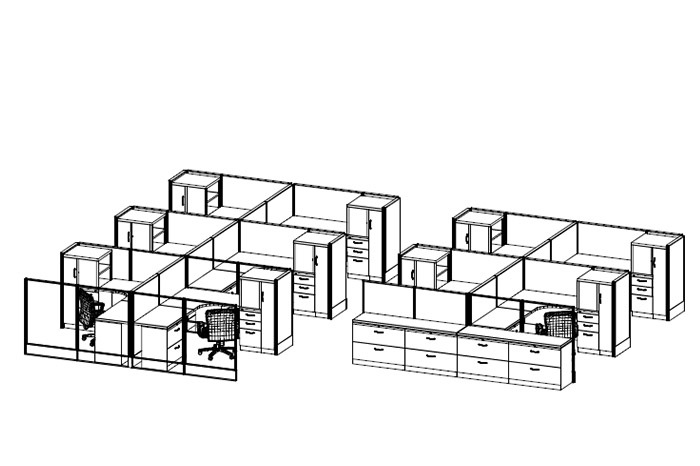 Using primarily AutoCAD drawings of your space (or field measurements if these are not available), the furniture is electronically drawn and placed to scale within the confines of your office. This ensures that we are making best use of the available space and that the design complies with all local code and ADA requirements. 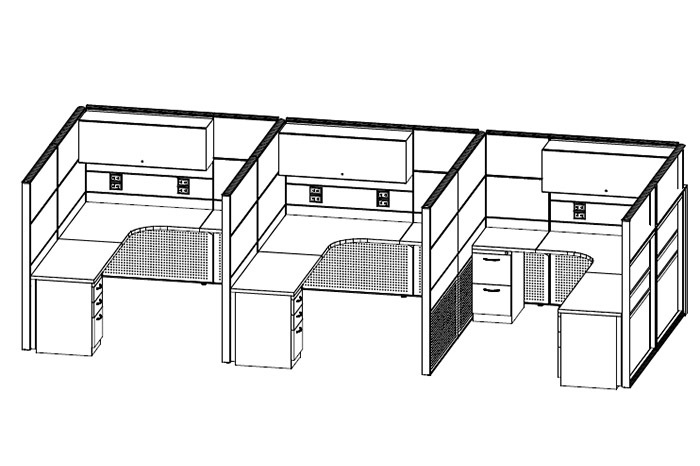 Space plan drawings are typically provided in plan view of the space, which can sometimes make it difficult to envision how everything will look when installed. We also provide 3-D (isometric) views of the furniture from different angles to better represent the finished result. Color is also important during the decision process. Our team can provide color renderings to help visualize the space (note: some advance notice is usually required). These drawings show the furniture with the correct colors on each surface allowing you to see a representation of the finished product in advance. Especially in the case of multiple branch locations, a company may opt to standardize on a given set of products for all their locations. This allows them to simplify the purchasing process as all facilities receive the same furniture. This ensures continuity and recognition throughout the brand for employees and customers alike. 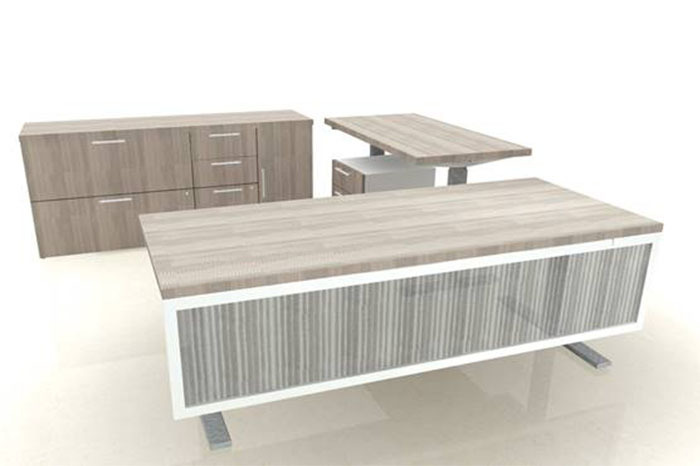 Standardized work environment furniture is interchangeable between branch offices.